By Spock’s Beard, It’s... Spock! This is not a drill folks. We’ve got Spock Beard. Our first look at Discovery’s sophomore season was all about re-introducing us to the iconic U.S.S. Enterprise. This latest teaser gives us instead a look at what Michael Burnham and the crew of the Enterprise and the Discovery will be facing, and there’s a whole lot of threats out there in the galaxy. 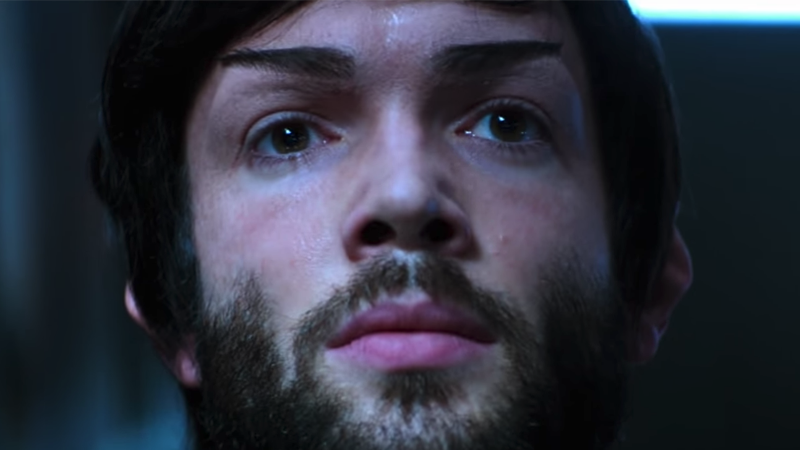 Just shown at New York Comic Con (International viewers can check out a version here), this latest look at Discovery gives us more hints at the mysterious signals teased in the original trailer—a trail Michael (Sonequa Martin-Green) is desperate to uncover, because her adoptive-brother Spock (played by Ethan Peck) has taken an unexpected leave of absence from serving under Captain Pike (Anson Mount) aboard the Enterprise to solve it himself. But the question on everyone’s mind is less about the signals, and more... what’s going on with this facial hair, Spock!? Is it a surprise fashion choice? Is it a precursor to the most infamous alternate reality facial hair of all time, Mirror Spock’s goatee? Hell, given that last season ran off into the Mirror Universe for its back half, could it even be Mirror Spock? Who can say, anything goes in the wild world of Star Trek: Discovery. But even then, there’s so much going on here beyond the search for Spock (I’ve used that joke on this website twice now, and you know what? It’s still good). We get to see more of the Enterprise, including Rebecca Romijn as Number One, and more of Spock’s mother (slash Burnham’s adoptive mother) Amanda Grayson, played once again by Mia Kirshner. Speaking of the Mirror Universe, we also get to see more from Michelle Yeoh’s evil Mirror version of Phillipa Georgiou, the former Emperor of the Terran Empire now turned into a member of the shady secret Federation branch Section 31. I’m sure that will turn out well. Oh, and of course, the Klingons are back! And they have hair this time, including L’Rell (Mary Chieffo)! It’s a very hairy trailer, to be honest. God, that’s a lot of hair on that Vulcan’s head.